In view of some solicitations come from faculty and young people/students who are working on the Forum and who will take part in the working groups, we have made changes on the ladder of interventions and for the performance of the work. It was considered appropriate and deserving high school students to participate in an active hand to mouth, thanks to the creation of some performances from them, which will go from music to dance, from theater to video, all crosscurriculari activities present in the POF of high schools. 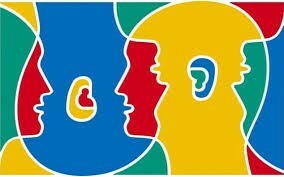 The language also has universal forms that are represented from art, music, theater and we have not forgotten even sign language, LIS, protected by the UN Convention of 2006 and recognized in 44 countries around the world. The topics will be relevant to the day, the principles of the Community Europe and shared universal values. 11.00 a.m.: Fourth intervention: "the cultural and artistic diversity to INTERCULTURAL DIALOGUE: NEW FRONTIERS" Rapporteur: Prof.ssa Vincenza Ferrara, Director DIGILAB-interdepartmental Center of research and services University "La Sapienza"
Theatre-Acting a piece by Eduardo De Filippo – taken from "Natale in casa Cupiello"
This entry was posted in Erasmus +, Initiatives. Bookmark the permalink.